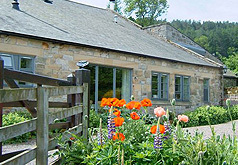 Located near the village of Rothbury in Northumberland, we offer traditional farmhouse B&B or self catering holiday cottages. 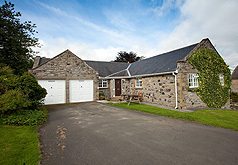 We offer a range of superb holiday accommodation, be it our traditional farmhouse Bed and Breakfast or one of our well appointed self catering holiday cottages all located on a working farm in an idylic situation at the foot of the Simonside Hills with views extending to the Cheviot Hills beyond. 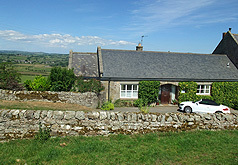 You can view availability and book online for either the bed & breakfast or one of our cottages, just click here for online booking. All direct bookings of 3 nights or more will receive a gift on arrival. To take advantage of this offer please call 01669 620228 to book now and mention the free gift offer. Ensuite & appointed to the highest standards. Luxurious accommodation for up to 6 people. 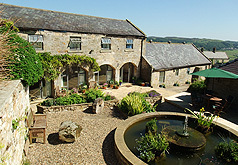 Luxurious accommodation for up to 8 people.